As photographers and retouchers we all begin from zero and improve our skills by constantly learning and refining our workflow. Looking back at my own progress in retouching, I realize that simply correcting some of my habits and beliefs had massively contributed to the improvement of my retouching results. 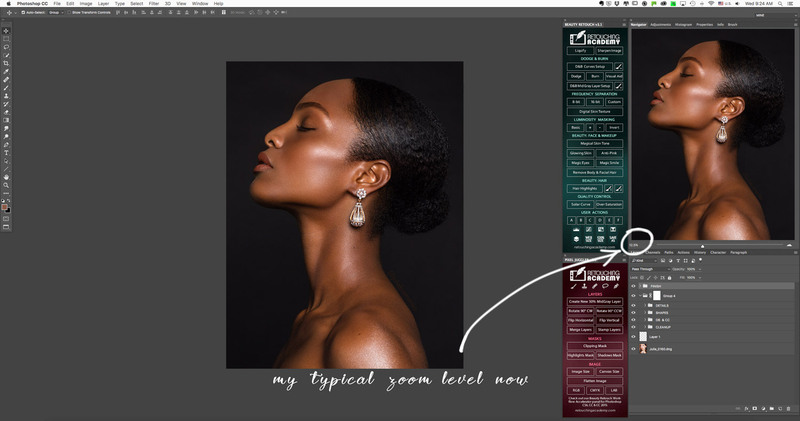 I wrote an article about it on my Master Beauty Photography blog, and I hope it will help you pinpoint and ditch the weak links in your retouching routine. Spending too much time learning instead of practicing more; not taking advantage of the information captured in your Raw files; not zooming out often enough while retouching; over-perfecting skin and other details; and, lastly, abusing the tools and techniques that should be used with caution – all of these things impair many beginner retouchers’ progress, and if you recognize some of them as your own habits, this article is for you! Read more: STOP DOING THESE 5 THINGS IF YOU WANT BETTER RETOUCHING RESULTS. If you don’t have Raw files to work on, check out our collection of free beauty and portrait practice images on Retouching Academy: https://retouchingacademylab.com/free-raw-practice-files. If you’re just starting out, challenge yourself and retouch all of them before you get back into your learning phase again. Hope you find my notes helpful in your journey to retouching mastery! When Are You Good Enough to Become a Retouching Freelancer?